Or, sometime after that in that room somewhere in Jerusalem where, after watching Jesus be tortured and then executed, most of the disciples hid in fear. Or, even later still when the disciples were back home and back on the lake fishing. 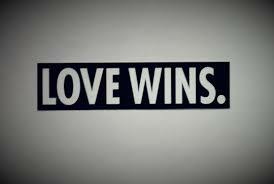 At it’s deepest and best, resurrection makes the startling affirmation that love wins. That all that is of God – love and light and life itself – along with the best of what we can imagine for ourselves and for those whom we love and for the world entrusted now to our care and keeping… all that will ultimately prevail. Paul Alcorn is the Pastor at Bedford Presbyterian Church in Bedford Village, NY. This entry was posted in Uncategorized and tagged easter, Hudson River Presbytery, love wins, Paul Alcorn. Bookmark the permalink.